About Us | Patient Focused! Dr Will Anderson graduated in 1991. He has been a full-time Forensic Medical Examiner (FME) for the past 13 years and is currently the lead FME for Hampshire. He has been photographing patients for 12 years and holds Fellowship of the British Institute of Professional Photography (BIPP: www.bipp.com ) He was the lead author of recent guidelines on Photography in Custody and SARCs (May 2017). Søren Moore is one of the UK’s most experienced photography trainers, and offers photography training throughout the UK and internationally. He is a former Crime Scene Investigator with 20 years' experience of operational police photography behind him. He has spent the last 8 years as a qualified forensic trainer with the College of Policing (COP) where he was also a senior photography trainer. He has delivered training both in the UK and overseas and is an associate member of BIPP. Since the College of Policing disbanded their forensic training programme in May 2017, Søren has been in great demand to deliver forensic and photography training overseas. He also runs his own photography company specialising in the photography of dogs. Nick Bishop qualified as a Medical Photographer at The Royal London Hospital in 1980. He worked there for 5 years before joining the Metropolitan Police in 1982 as a Forensic Photographer. Nick worked with a number of specialist teams before retiring in 2014 after 32 years’ service. 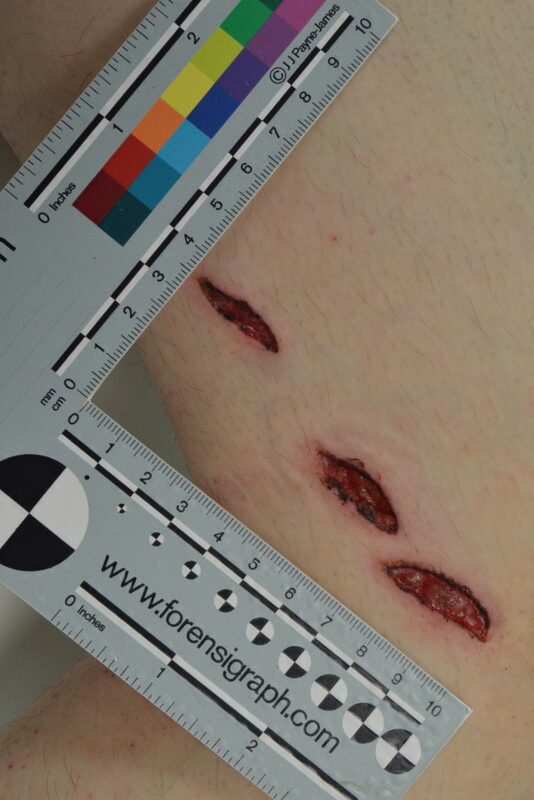 In the last 10 years he was a Senior Forensic Practitioner with the Evidence Recovery Unit, which specialised in the photography of injuries and the forensic evidence from major crime scenes using alternative light sources. 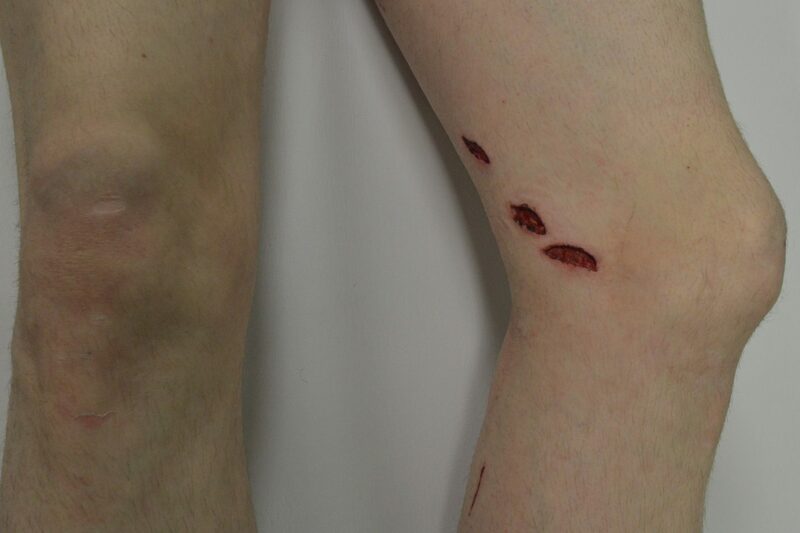 Police dog bite to the inner aspect of the left knee.